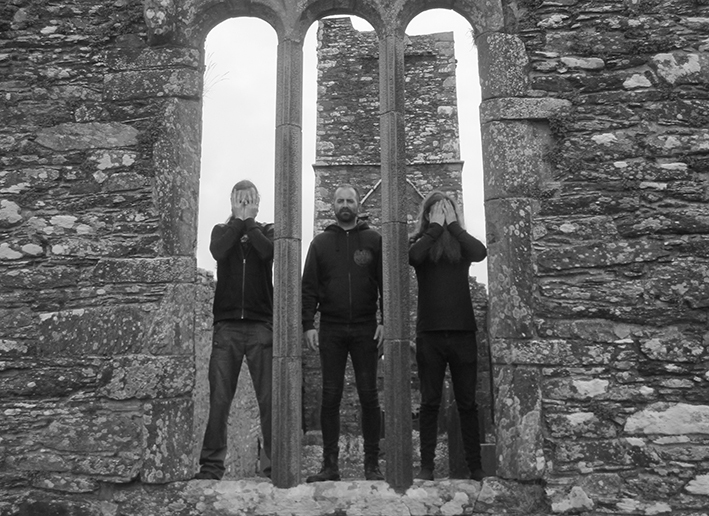 The dark ambient black metal alchemists hailing from the harsh coastline of the West of Ireland draw their inspiration from Ireland's bleak environment and its rich history & culture. FTBOA's self titled debut album was released in 2010 and received critical acclaim from the music Press, leading to their first live shows in the same year supporting Norwegian Legends Ulver in Rotterdam and Aderlating (featuring Mories of Gnaw Their Tongues) in Utrecht followed by their very first Irish gig, a sold out pre-show to Primordial's 20th anniversary in Dublin as well as a support slot with William Bennett (Whitehouse / Cut Hands) in Manchester. In 2011 FTBOA released a limited edition split vinyl picture disc with Ukraine's Dark Ages (feat Roman Sayenko of Hate Forest / Drudkh /Blood Of Kingu) entitled 'Holodomor / An Gorta Mor'. The theme of this release was the Famine in both countries (Ukraine: Holodomor 1932-1933 & Ireland: An Gorta Mor 1845-1852). 2013's semaphore album 'Roots Of This Earth Within My Blood' took the band's Dark Ambient sound into a much bleaker direction, featuring guest appearance from Irish storytelling legend Eddie Lenahan, Mories (Gnaw Their Tongues/Aderlating/Cloak Of Altering), Ken Sorceron (Abigail Williams) and Chris Naughton (Winterfylleth). The album topped Bizarre magazine's end of year list and was named album of the year that very same year. The Feniam Ram' EP was released in 2016 and paid homage to Liscannor born engineering legend John P Holland - the man who invented the submarine. It featured Sean-nos style guest vocals from Stíofán De Roiste/Celtachor as well as a rework of the late Micho Russell song "The Ballad Of John P Holland". FTBOA are known for their fierce live performance and have shared stages with the likes of Wardruna, Anaal Nathrakh, Arcturus, Dragged Into Sunlight, Solstafir, Zatokrev playing various international festivals including Amplifiest, Eistnaflug, Inferno, Siege of Limerick and Incinceration. "Mineral Bearing Veins" sees the band take their sound to harsher more black metal territory combined with a very cold and bleak atmosphere. The album delves into subject matters such as cursed fairy trees, dark underground cave systems in The Burren, isolation and Irish superstition.